For Pickup Email will be sent when order is ready. Great way for getting your business message across to people who are passing by. 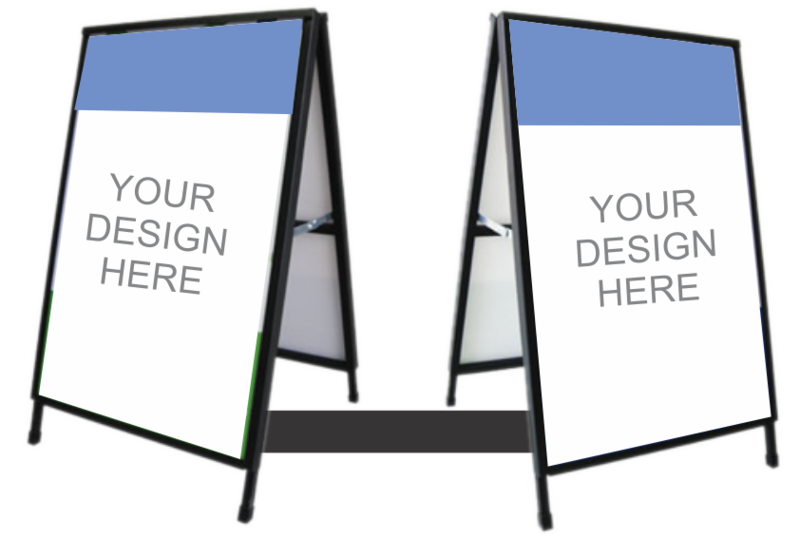 A-Frame Signs (Sandwich Board Signs) are ideal for small-medium portable street sign advertising. Can be used to attract attention, direct pedestrians to yourbusiness,displays your opening times, advertises you products and services, and promotes special offers. 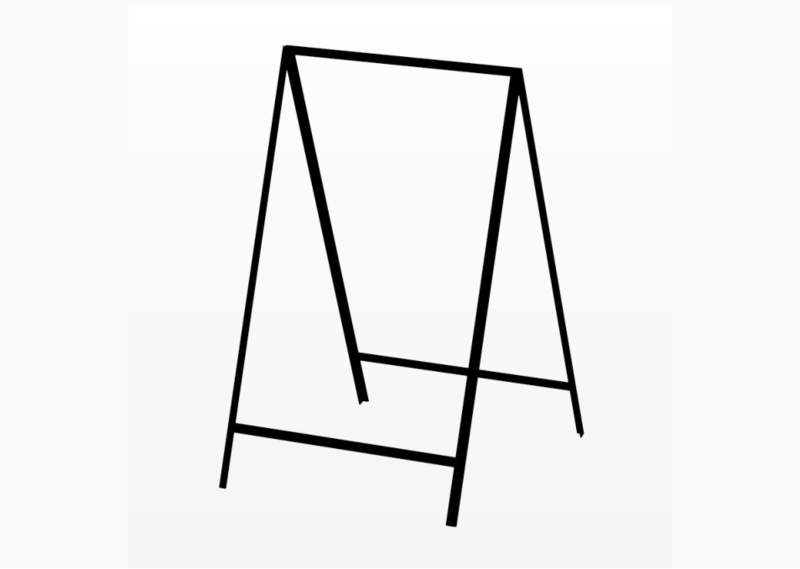 Certain A-frames are intended for indoor, while other for outdoor conditions. Some A-Frames have the graphics embedded in the panels while others have graphics that insert and can easily be replaced. Several are made from aluminium to certify they are light for easy movability and transportation while others are made from heavy Wood so they are able to sustain strong winds and tough outdoor conditions.